“The e-commerce industry is a vehicle that investors must drive to stay in the long run”. E-commerce or Electronic Commerce is a dynamic platform for increasing sales, rationalizing businesses and development of new channels. It has spread its roots all over the industry and has become the key factor of technological invasion and growth. After the emergence of E-commerce, the perception towards buying and selling of a commodity or service and how people invest in them has radically transformed. Thus, building an online business is crucial to both persisting and winning in the big world of digital generation. It comes with a number of benefits such as around-the-clock availability, ease, comfort, accessibility and not to forget the international reach. Businesses are no longer limited by geographical borders, but their willingness to adapt to new technologies. Predictions say that “more than 206 million shoppers will spend money online this year”. So, what are you waiting for? 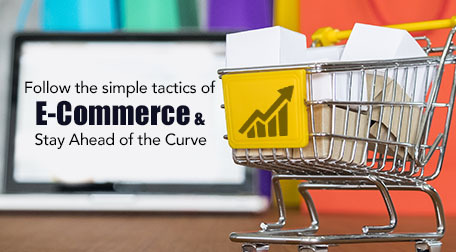 Analyse, observe and earn: Before taking a flight for the e-commerce industry, make a keen and sharp observation of the market in which you are going to land. Each market has its own specifications and commitments, so make sure you fly in the right direction. This may include studying your competitors, consumer’s predilections, latest innovations and return on investments. This will subsequently assist you in arming yourself with the preeminent and reaching the target audience. Right platform leads to appropriate reachability: Recognize the power of social media such as Facebook, Twitter, LinkedIn and Instagram and connect with your audience. It will help you to better segment audience and know their whereabouts, likes and dislikes which in turn leads to optimization of your campaigns. User satisfaction is all that matters: When a customer approaches your site for online shopping, it’s your responsibility to give him far beyond expectations. Quality, on-time delivery, easy returns, refunds and exchanges are some of the factor that each site employs but it is your call to cast them in a way that attracts all and deter none. Furthermore, apt pricing is also one of the factors. Customer journey: Make sure that the entire customer journey is mapped; right from the digital ads which leads the buyers to your website, website design and flow. In addition to this, the packing should be branded so that it leaves a lasting impression on the viewers. Moreover, your job should not get over with customer’s purchase, keep in touch with your customers. Send them emailers with offers, promotions and product launches. Offer discount coupons for repeat buyers. Customer care services should be in sync with the branding and customer centric ensuring repeat purchase for your BRAND. These are just a few steps which will help you in start of your ecommerce journey. 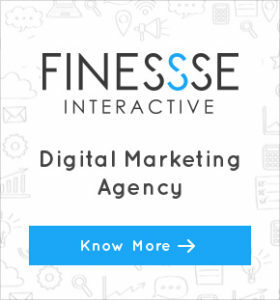 Connect with us to help you take a Digital Leap!